Let’s face it, from the pasture to the milking parlor, the dairy farm can be one messy workplace. Thankfully, the right pair of boots can go a long way to clean up this messy situation. Whether your dairy farm has five or 500 head, a good pair of boots will make your already long day that much more bearable. Our step-by-step guide is here to walk you through everything you need to know to find the best boots for a dairy farmer. First and foremost, you are going to need a pair of boots that can handle a slippery and wet environment. From the time of milking to the clean up afterward, a milking parlor can be quite the messy place. You’ll want to look for a boot that offers enhanced traction from an outsole specially designed for wet environments. 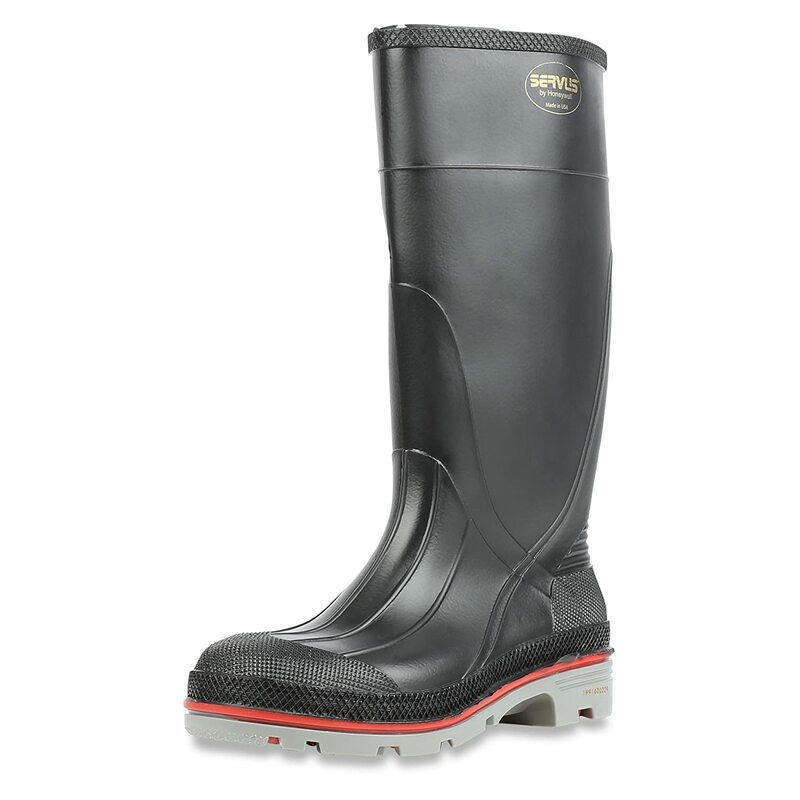 While they may be intentionally made for the dairy farm, boots from brands like XtraTuf are designed with professional fishermen in mind, and they offer excellent performance in slippery conditions. Let’s face it, as innocent as these gals look, they sure can create one heck of a mess. While this comes as no surprise, you’re going to want a boot that is entirely waterproof. Dealing with wet socks and cold feet during a long day of milking helps nobody out. Because of this, rubber boots that can offer maximum waterproofing are often popular with dairy farmers. A dairy farmer that spends all day with heavy animals or heavier machinery stands to gain a lot of protection from the steel toe. It can also be a good idea to look for a pair of boots that offers either a steel toe or some other kind of reinforced toe for additional protection. Much like a football player uninterested in a cup, you’ll never understand how beneficial steel toe boots are until the moment you need them. Simply put, a dairy farmer that spends all day with heavy animals or heavier machinery stands to gain a lot of protection from the steel toe. As you spend much of your day in transition, easy to take off boots can be a major relief. I don’t think this will come as a surprise, but the life of a dairy farmer brings constant transition. Boots go on. Boots come off. Boots go back on. Rinse and repeat. The simple truth is that there’s a good chance you’ll be in this situation. So why not try to make your life easier with boots that come off with little effort? It depends on your personal preference, but boots with finger loops and slip on boots can go a long way towards making your day more comfortable. Keeping all of that in mind, here are some of our favorite boots for dairy farmers. Designed by XtraTuf for the harsh conditions at sea experienced by commercial fishermen, these neoprene boots are serious business and are offered with both steel toe and plain toe. They are insulated to handle cold and wet environments and use waterproof construction. A slip-resistant outsole is designed to provide enhanced traction in wet environments. As these boots are insulated to stand temperatures down to -10 degrees Fahrenheit, they would be an excellent fit for the dairy farmer that experiences real winters (sorry, not sorry, California). Featuring solid construction, these boots would be a wise investment for someone who spends long hours in the milking parlor. Designed with the farmer and rancher in mind, these work boots from Georgia Boot offer a great blend of top of the line performance with unmatched style. 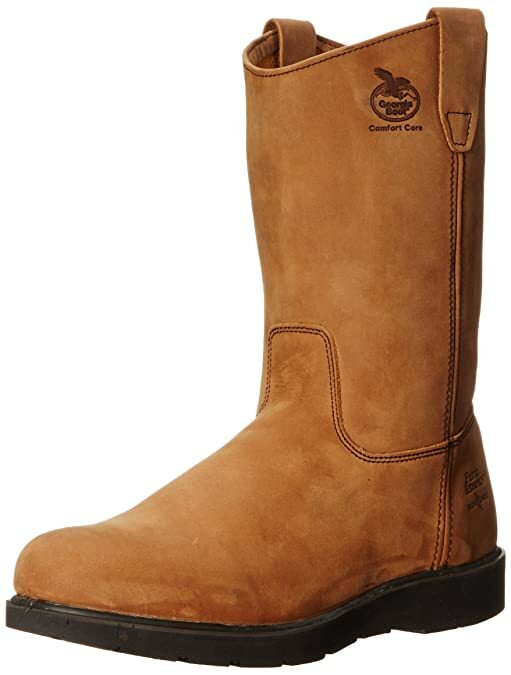 These boots are designed to handle the chemicals seen in and around the barnyard as they utilize a leather upper. A waterproof boot that features a construction that allows for re-soling, these classic boots would be a good fit for a dairy farmer that wants both performance and an iconic style. Extremely comfortable to wear right out of the box, these work boots are designed to be easy to take on and off. An affordable option made from injection-molded PVC, these work boots from Servus (a Honeywell company) offer effective slip resistance. Seamless construction makes this work boot genuinely waterproof. The advanced materials of construction mean this boot provides enhanced resistance to the chemicals that are often part of barn life. While they may not offer the same warmth or beautiful craftsmanship some of the other boots provide, these work boots would be an excellent option for dairy farmers interested in saving a bit. They still offer plenty of performance and are built to last through long days in the milking parlor. While it was a close call, the winner in our round-up today is the Legacy Series Work Boot from XtraTuf. 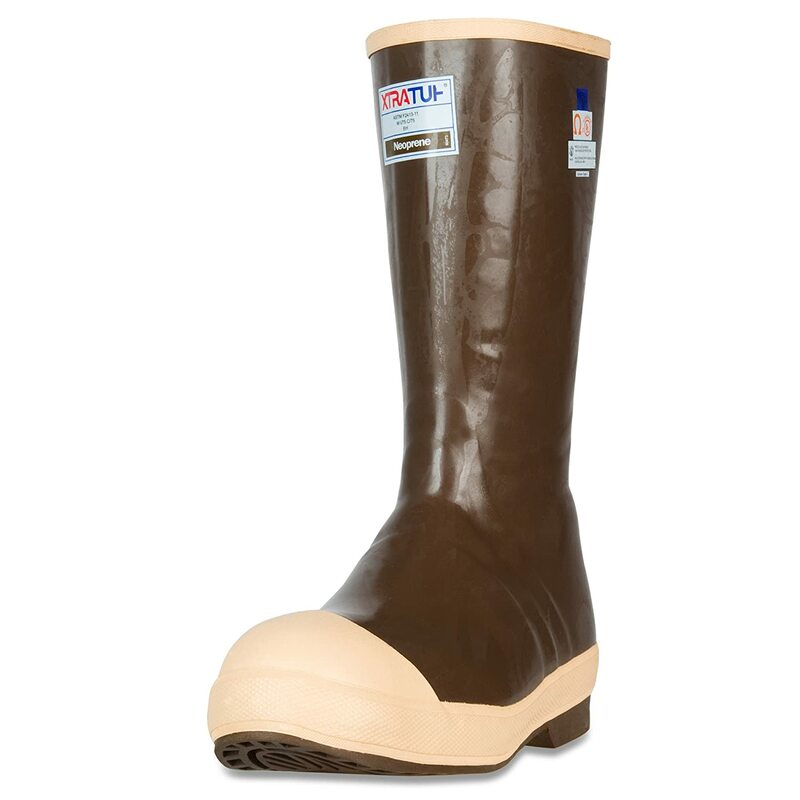 Given that this boot is designed for commercial fishermen, you can be confident that this boot can handle the messiest of milking parlors.